Infrared radiation may be the most under-diagnosed cannabis plant stressor for indoor gardens. Simply put, there can be a difference between ambient air temperature and the actual temperature that your plant is experiencing from the source of light being too close. Infrared radiation may be the most under-diagnosed cannabis plant stressor for indoor gardens. Simply put, there can be a difference between ambient air temperature and the actual temperature that your plant is experiencing from the source of light being too close. This is critical to any healthy growth because of its role in ph and nutrient disorders. Nutrient lockout and ph issues are not a new phenomenon in any way. But IR heat is rarely recognized as the cause. Pale green leaves that curl or claw downwards and form ridges across their surfaces are a clear sign of IR stress. 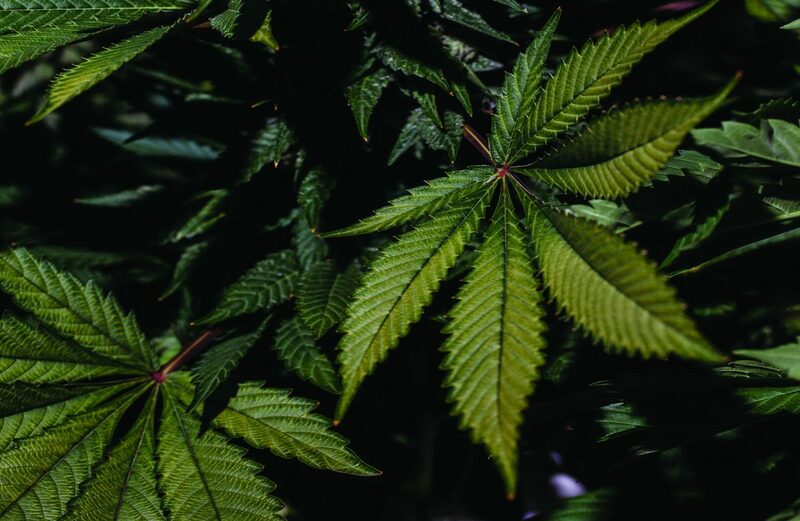 When light and or heat becomes too much for the plant to deal with (and there is such a thing as too much light for a cannabis plant) this leaf curling reduces the leaf surface area (LSA) that light can contact. At the same time the ridging across the leaf increases its surface area so that water can be transpired more effectively, cooling the plant. Imagine yourself inside a car with the AC maintaining the temperature at 72 degrees which is the best temperature to flower cannabis in if using only ambient levels of CO2. Now imagine a full summer sun that stays in the same place all day, bearing down on your exposed skin for 12-24 hours. Despite the cool air around you your skin temperature will be measurably higher. This is the life of many indoor cannabis plants and how they can develop a nutrient deficiency despite being fed with products that supply sufficient levels of NPK and all other nutrients the plant needs to grow. Sometimes referred to as Leaf Surface Temperature (LST), this is a critical measurement because the efficiency of photosynthesis stops at 86 in a CO2 enriched space. Without C02 enrichment 80 is the maximum temperature. The plant will continue to transpire H20 in order to cool itself but is otherwise on metabolic pause; the chemistry of photosynthesis will not work and nutrients are not moving into the plant from the medium. Cheap, commercially available laser temperature guns are an effective tool to measure LST; simply point the laser beam at the leaf and read the digital display. In many hydroponic situations a high LST can cause immediate problems as the transpiration of H20, but not nutrient uptake, quickly increases nutrient concentration around the roots. Ph levels (most hydroponic nutrients are acidic, especially when concentrated) then go down correspondingly to levels where most nutrients are not available to the plant at all. This can make it confusing to diagnose and treat if the temperature and humidity readings seem to be within the proper ranges. At the same time this concentration of nutrients outside the root zone increases the osmotic gradient relative to that inside the plant’s cells and the result is that H20 is pulled out of the plant, causing it to visibly wilt, while the medium remains heavy with moisture. This leads many growers to delay watering until the medium dries out more. However, if the medium is saturated with a high ppm/low ph solution, waiting for the medium to dry out will likely not happen at all before the plant dies, because without nutrient availability the plant isn’t capable produce the sugars it needs to live. This is where flushing is appropriate and often times also too late. Certain varieties such as OG Kush and Girl Scout Cookies usually refuse to recover from a setback like this at any stage of growth. Both of them are also much more likely to be problematic in this regard, as their metabolic/growth rates are so notoriously abysmal. 1. Raise your lights further away from the canopy to spread the light over a greater area. 2. Dim your lights if doing so will not change their spectrum. 3. Lower your air temperature. 4. Increase the coverage and speed of oscillating fans to aid with circulation. 5. Spray your plants with plain H20 as long as this won’t cause mold problems. 6. Try all of the above in different combinations until you find what works for you. Then simply observe your plants for the changes. Within a day or so the apex meristem/growth shoot will show that it is again able to uptake nutrients and perform photosynthesis. You can observe this simply as the return of dark green color to this growth shoot. Older leaves that suffered stress will remain discolored but new growth should look lush and healthy. Plants should return to health although they may never again show the same vigor and health of a similar plant that did not experience IR stress.